Search Results for "ocean trash"
1970s: Particles float down onto mucous layer, move on top of cilia. Wave breaks in ocean, trash floats on water. Illustration of lungs and alveoli. Beach Trash. A Maldive Islands beach. 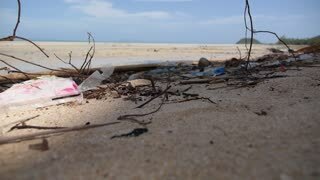 A place far away and yet a plastic water bottle washes ashore. 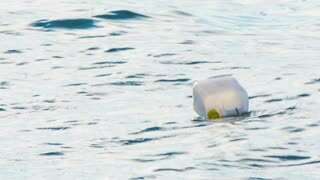 The central gyres of most oceans are slowly filling with floating trash. Cozumel Mexico Caribbean Ocean shore man collect trash 4k. Island in Caribbean Sea off coast of Mexico's Yucatan Peninsula near Playa del Carmen. A major cruise ship destination, vacation and resort area for, scuba diving, and snorkeling. Drone footage of a 30 hectares pile of waste (including plastic, organic, glass, furniture and more) that goes up to 20m high. The camera is going backward over the pile of trash with the ocean in the background. A lot of trash and plastic wastes on ocean beach after the storm. Kuta, Bali, Indonesia. Trash on the beach. 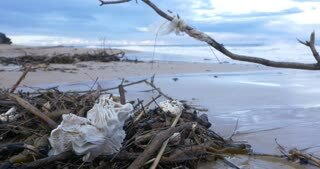 Nature and ocean pollution. Bottle in sea. Abandoned bottle on sea surface wavy water. A engineer looks at a plastic bottle on the background of trash. 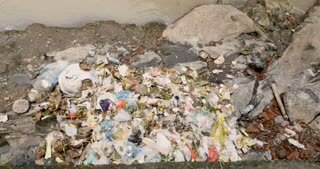 The concept of environmental problems plastic garbage, illegal dumps.